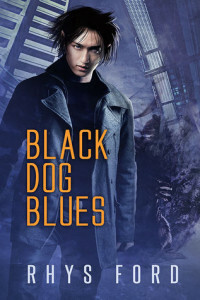 A few years ago, I wrote an urban fantasy called Black Dog Blues. When the book simmered and boiled in my brain, there were a few things I wanted to have in this book: An elf who was unapologetically bisexual and raised human and living hip deep in blood, gore, guns and monsters. 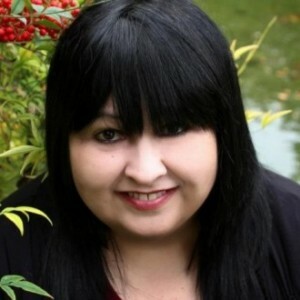 Then, one day at a yarn store, Elizabeth North of Dreamspinner Press fame, started talking about a new venture they were trying out—DSP Publications, DSP’s boutique genre imprint. Long story short, Elizabeth asked if I’d submit Black Dog Blues, I did and now, here we are—with Kai making his way out into the world. A major part of Kai’s world is the blend of human and elfin cultures with a dash of Celtic, Asian and some other odds, bits and ends I found lying around. I wanted to portray a melting pot of humanity as San Diego has so many ethnic layers. Building Kai’s San Diego was kind of like making pasta and a sauce. Once the eggs and veggie juice were added to the flour and blended in, I had a pretty good base for my dish. The sauce was Kai, his rather cocky attitude and the pretty huge chip on his shoulder. A few other ingredients—Ryder, other characters, a 1969 Ford Mustang and a pregnant woman—and the whole thing was ready to go. The main conflict in the series is Kai, the main character, being an elfin raised by humans. He thinks human. He’s kind of shocked to see himself in the mirror and sees an elfin instead. I wanted to write about the conflict of self versus social perception. The world-building was awesome to do. Something glitched in the universe, causing Earth and Underhill to merge across the planes. Pieces of Earth were replaced with the elfin homeworld, Underhill, and chaos erupted. Landscapes stretched out or shrunk, monstrous animals were introduced to the environment, the Sidhe and the UnSidhe courts appeared. It was a great book to write. Probably one of the most enjoyable writes I’ve ever done. Finding twists on monsters was a challenge as was reconstructing San Diego so it rolled around the fantastical of Underhill. I’m really looking forward to writing the sequel and I hope you enjoy Black Dog Blues. No one ever got rich being a Stalker. But then few of them got old either and it doesn’t look like Kai will be the exception. Black Dog Blues is also available on Amazon and other fine eTailers. Rhys Ford is a firm believer in love and let love, short walks to a coffee shop and having a spare cat or two. Most days she can be found swearing at her laptop and trying to come up with new ways to kill off perfectly good random characters. Rhys Ford was born and raised in Hawaii then wandered off to see the world. After chewing through a pile of books, a lot of odd food, and a stray boyfriend or two, Rhys eventually landed in San Diego, which is a very nice place but seriously needs more rain.